I am at a loss for books to review because most of the books I have been reading recently are ones that have been school texts. There are also a few that I read and didn’t have strong feelings for, or just thought like I had nothing to add on. However a lot of these are popular stories this year or just in general so I thought I would talk about them a bit. 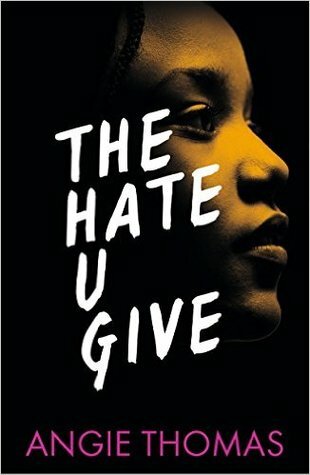 Today is my thoughts on The Hate U Give by Angie Thomas, Fangirl by Rainbow Rowell and Caraval by Stephanie Garber. I didn’t want to do a full review of this one because this book has so much hype, and it is totally deserving of it. I just didn’t think I had anything unique to say about this book. This was a five star read for me and I would totally recommend it to anyone who hasn’t read it yet. I feel like nothing I can say is going to do this book justice. It was amazing. All the different plots were entwined so effortlessly and I found myself not wanting to say good bye to the characters once the book was over. They were so real, I think that’s the main thing I can say about this book. The problems tackled and the way that the plot unfolded was so real. This book made a lot of statements on topics that are incredibly relevant right now, and while I think there are going to be a few people who dislike this novel and the way certain topics were represented I think it was handled very well. As someone who doesn’t know much about the situation over in America other than what I’ve seen on the news (which doesn’t usually give the whole story – as is represented in this novel), I liked the insights that this book provided. I think the strongest thing about this book, the thing that made it more than just an ‘issue’ book was the characters and how strong they were. Starr’s family was amazing to read about, and her connections with various people in her life was a good representation of how life really is. The complex and messy relations between Starr, Seven and Kenya and their families added depth to the story and I especially liked the conflict between Starr, Maya and Hailey. It really showed how jokes can go too far and how people’s perceptions of events are different. It’s so easy for things like this to happen. The only character I was kind of unsure about was Jess. Sure I liked her, but why was she there? I liked that we were shown that Starr had other friends because that was realistic but she barely said a word and I was expecting something to come of her presence. I would have liked to see the way that other people in her school reacted to discovering certain plot events. I’m kind of hoping that there’s a sequel to this book because of how attached to the characters I got, but I also want to leave the story here on this high point where every aspect is important. I am too lazy to actually write so this is going to be in gifs. Anyone who reads my reviews recently knows that I really enjoy looking at the different covers for books. This book has two main covers. This first one (on the left) is the American cover and I really love it. This cover along with the synopsis really drew me into the book. However when I went to buy the book in Australia where I live I was confronted with a very different cover (on the right). When I first saw this cover I really didn’t like it. In fact I nearly didn’t buy the book because I didn’t like this cover. However the longer I had this cover on my shelf the more I came to like it. And I think it actually reflects the messages of the story more. The cover on the left almost makes the book seem like its a contemporary novel because of the style of the cover art. This book is really popular. I wasn’t super interested in reading it because I don’t read many contemporaries, however a friend gave it to me for Christmas last year and I went through a time when I was looking for fun and easy reads. Considering I had this book on my shelf I thought I would check it out. I ended up giving this book four stars. Before we dive into the book I just want to mention the art style. 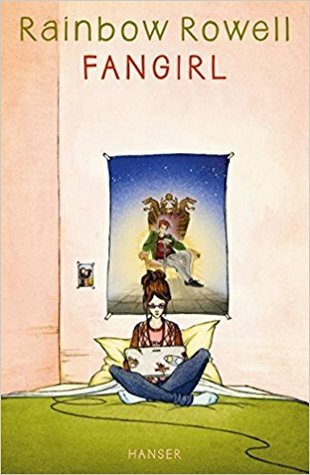 In my version of this book there were a few different pictures of the characters and I really loved that. It was so cute and helped me to know what to expect going into the book. I kept finding myself flipping back to those pictures to compare with the descriptions of the book characters. I did enjoy this book, but I stand by all earlier comments that the contemporary genre really isn’t for me. It was interesting to see how Cath settled into to collage and her personality was very real, including her insecurities about not feeling good enough compared to her twin. I liked all the characters, Wren was amazing because although she made mistakes and lived a life of boys and parties she was still a nerd at heart. Reagan was great, she was snarky and blunt and I liked the rules she set out. Plus I thought she was going to be the cause of a lot of girl hate and drama because of relationship with Levi but that wasn’t the case and I am so grateful for that. Levi was also a really good character, I can see a lot of myself in him and some of the things Cath thought about him made me think about myself. However I still find myself having mixed feelings about him. His character at the start and end of the book seemed distinctly different, maybe just because we got to know him better, but it seemed like a lot of his flaws were fixed really easily and weren’t flaws any more??? For example that thing with him smoking (which made me kind of not like him) was excused by him saying he only smoked when there were other people around. Like wot son? You can’t just make him perfect all of a sudden and have that be some sort of misunderstanding. That’s just unrealistic. The actual plot of the book made me roll my eyes at some points. Cath’s internal dialogue towards other people (especially at the end of the book) and especially towards Levi – ie her fear of going to his house was so cliche. The beginning of the book was realistic but pretty boring, the end of the book was interesting but very unrealistic and quite rushed. I feel like the last few scenes could have been expanded on a lot because they left me quite confused as to what even happened. Other things I want to mention are Nick… like what?? he kind of disappeared half way through the book and I feel like so much more could have been done with his character. Plus the sections of ‘Simon Snow’ between chapters? that was a bit weird, but I actually liked it. I didn’t mind reading them, even thought I hated how disjointed they were. I kind of cared more for Baz and Simon than I did Cath and her life. Plus those bits kept the story moving forward so fast. I would keep turning pages. It was quite difficult to put this book down and even though it was long (for a contemporary book)(at least from what I’ve heard) it didn’t seem like it. There are actually so many covers for this book, they are all basically the same however they come in different colours like pink or yellow. I don’t really have much to say about the difference between them but I want to show off some of the more different covers. The cover I have. I am confused as to why there is a completely different edition that is only slightly different. 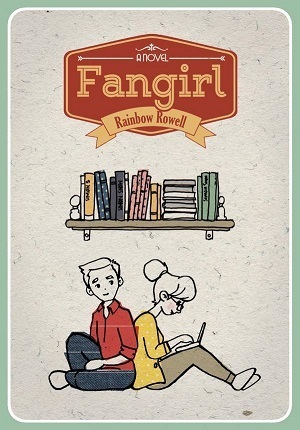 Italian cover – I think this is so cute, it reminds me of the covers of Giovanna Fletcher’s novels. Indonesian cover – adorable art style. I just love it. Croatian cover – this looks like a more typical contemporary cover but it is so fitting. I can totally see Cath sitting there like this. Latvian cover – I like how simple this one is. The silhouettes are really nice. German cover – I actually love this one. The art looks AMAZING and this totally fits how I picture Cath’s room. 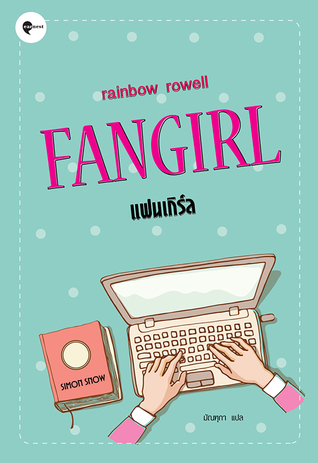 Thai cover – this one is so simple but so nice. 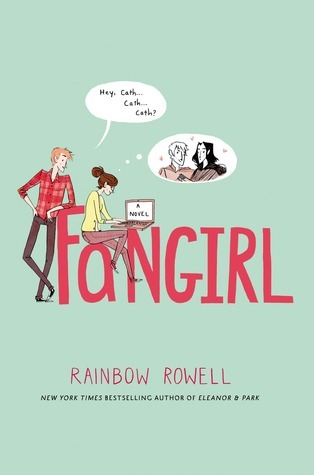 I think the general overall theme for covers of Fangirl is that they are pretty minimalistic which I really like. I did enjoy this book, not nearly as much as some people seem to but I did like it. It took me a while to be sucked into, but I enjoyed the world that was created. A really fast paced and quick read. I really enjoyed it. The world wasn’t very developed and there weren’t many rules but it was still really interesting. The mystical nature of the book meant that I could still enjoy the weirdness that occurred and didn’t really question what happened. The plot kept me on my toes and it kept me reading, I was constantly confused and I really liked trying to figure out what was going on. I didn’t mind the characters, but I was far more interested in the game and the plot than I was in the character’s personal interests. 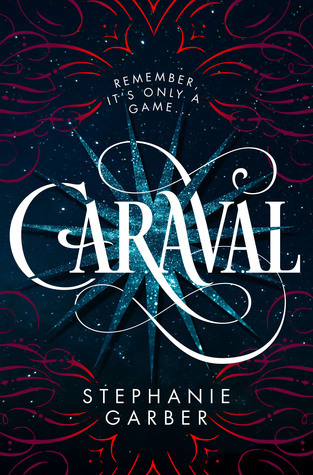 This was a very strong debut novel and I will definitely check out Stephanie Garber’s next novel. 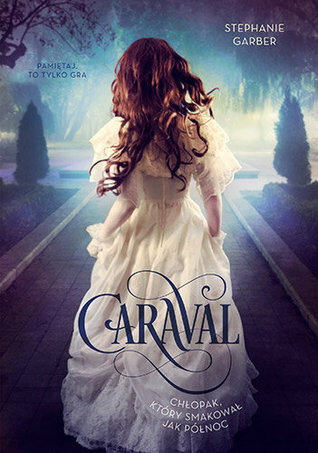 I am pretty sure everyone knows by now that these covers are stunning, they are so beautiful. And they’re so simple too?? But if you somehow haven’t seen them yet, here they are. However I actually found some other covers… so let’s take a look at those. 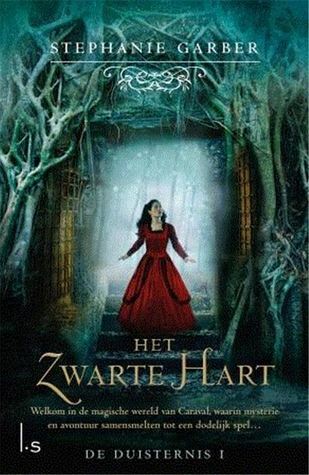 Dutch cover – This one isn’t horrible, but it is pretty typical. I like how it does actually use elements from the story though, which very few of the other books actually do. And I like how the girl isn’t the focus of the cover, rather the scary surroundings are. 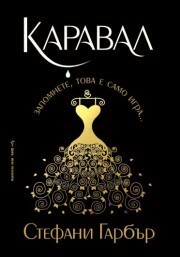 Bulgarian cover – I actually think this is quite pretty. It reminds me of the black and gold hard cover versions. I like the simplicity, but I am glad they didn’t end up going with a dress. 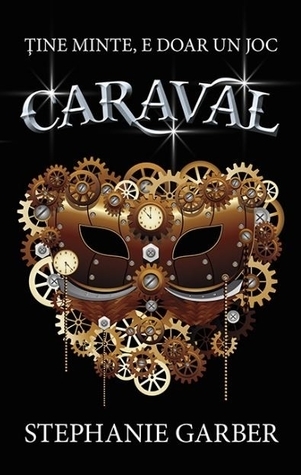 Polish cover – This is the typical YA cover we all (or at least I) expected. At least she is running away so we don’t need to see her face. 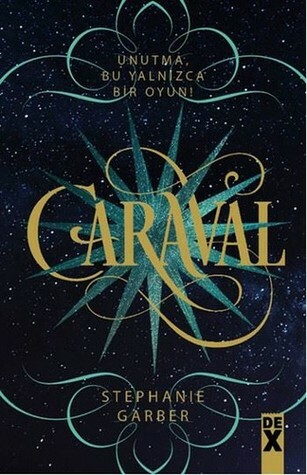 Turkish cover – This is pretty similar to the other cover, and I even find myself liking the colour scheme of this one more. It’s beautiful. 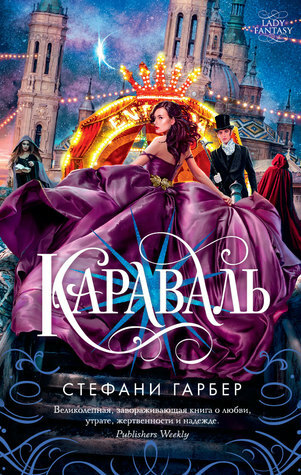 Russian cover – This really conveys the circus vibe which I do like, but I think it is a bit too busy and doesn’t actually reflect the story super well. 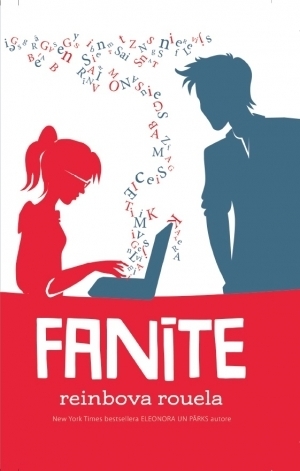 Romanian cover – This is amazing. I actually love this one. It maybe doesn’t tie into the story that well, but it is so simplistic and nice. Would you be interested in hearing reviews from me on those? Let me know in the comments. 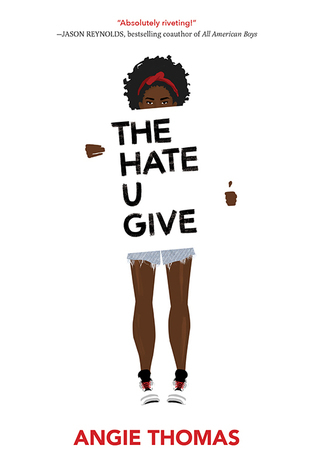 I loved The Hate U Give. It’s such an important book. 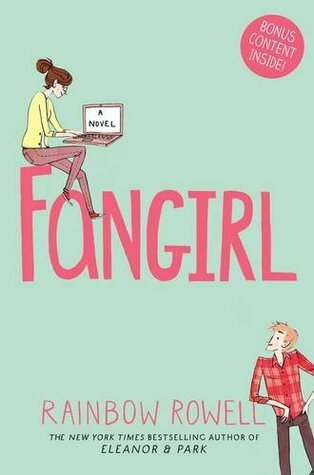 I haven’t read the other two, but Fangirl is on my TBR. I’ve heard great things about it and I really love contemporary so it should be a good fit for me. 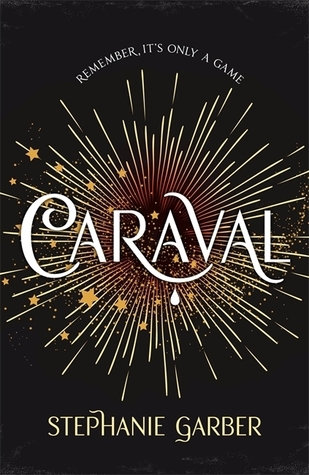 I actually hated Caraval, thought it was so overhyped. I was so intrigued by this world and the game, but they focused too much on the romance. I hope the second book will be better. And give us some answers. I do agree that there was far too much focus on the romance, but I kind of think that if there was more focus on the world and the game the plot wouldn’t have held up. A lot of it relied on there being no real explanation. I do want to see how the second book gives us some answers.